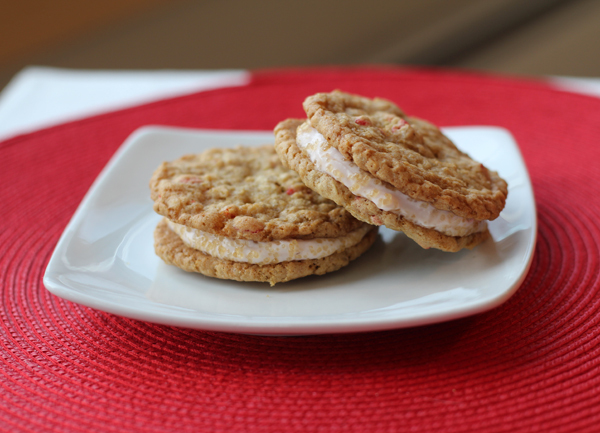 Use instant oatmeal and a cream cheese filling for a jazzed up oatmeal cookie. For this winning recipe, start with butter, sugar, eggs, flour, baking soda and strawberries and cream instant oatmeal. (We’ve used Quaker and Great Value brands with great results.) Once you have baked and cooled the cookies, make a filling out of cream cheese, sugar, strawberry preserves, and heavy cream. Sandwich them together with the filling inside. This winning recipe comes from the Delta Fair in Memphis. Cindy Dunn won a blue ribbon with it in 2016 and it has become an all-time favorite around here. It is decadent and oh, so delicious. And one of the cool things about it is, that after it sits, the texture completely changes, drawing on the moisture of the filling. It bursts with flavor and literally melts in your mouth when you eat it. Speaking of the Delta Fair. It is coming up in September. If you’re from the Memphis area and like to bake and cook at home, be sure to check out the fair, and look into what blue ribbon competitions they have. It is a fun way to experience the fair. Preheat oven to 375° F. In a large bowl, beat together butter and sugars until fluffy, then blend in eggs. Mix in flour and baking soda, then stir in oatmeal, one packet at a time. Once blended, drop by heaping teaspoonfuls, at least two inches apart, onto parchment-lined cookie sheet. Bake 10 minutes. Cool completely. In a medium bowl, mix together cream cheese, sugar, strawberry preserves. Beat on medium speed while slowly pouring in the whipping cream, then beat on high until stiff peaks form. Place filling into pastry bag or plastic bag with corner cut off). Squeeze filling onto bottom side of 1/2 the cookies. Place second cookie on top of each. Sprinkle the sides with raw sugar. Makes 32 cookies.